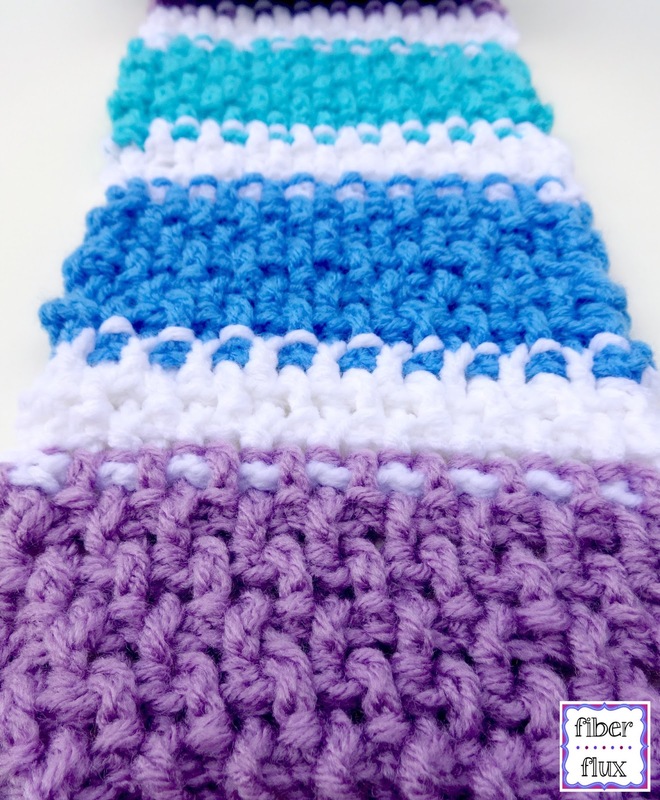 Fiber Flux: Free Crochet Pattern...Snowy Princess Scarf! 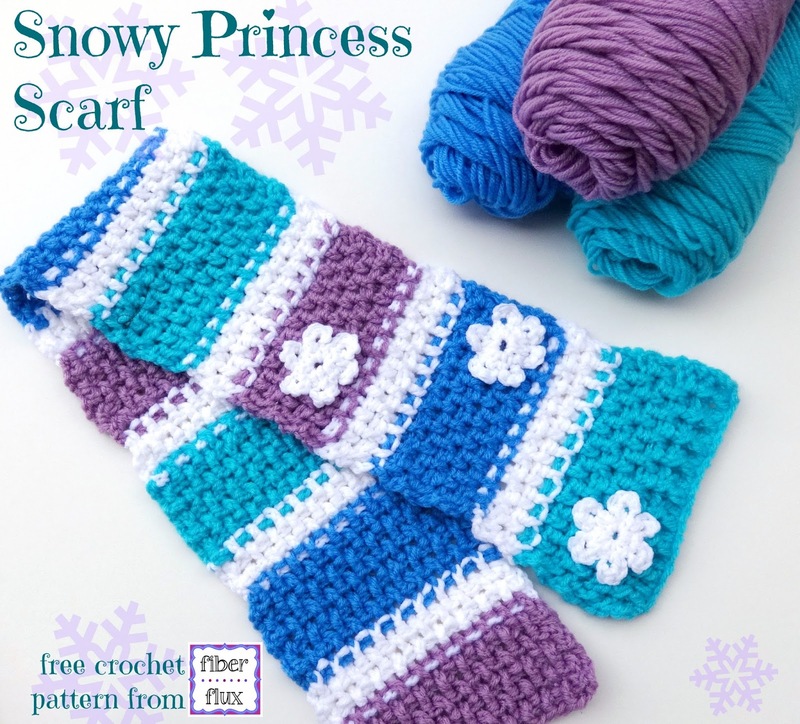 Free Crochet Pattern...Snowy Princess Scarf! The Snowy Princess Scarf is a perfect winter scarf for a little girl! 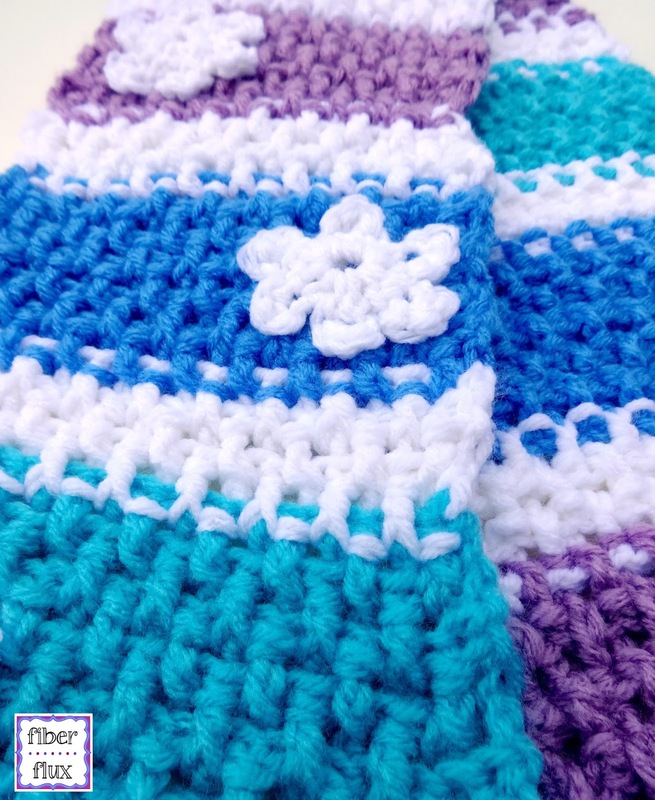 Crocheted in an interesting but easy woven texture and finished off with cheerful snowflakes, you'll be able to whip one up for your princess and keep her toasty warm! Note for the scarf shown, I worked 6 rows each of the blues and purples and 3 rows each for the white stripes. Row 1: In the fourth ch from the hook, work a dc. Dc in each ch across. Row 2: Ch 3 and turn (counts as a dc). *In the next dc, work a fpdc, in the next dc, work a bpdc. Rpt from * across. Work a dc in the top ch of turning ch. Row 3: Ch 3 and turn (counts as a dc). *In the next dc, work a bpdc, in the next dc, work a fpdc. Rpt from * across. Work a dc in the top ch of turning ch. Repeat rows 2 and 3 until scarf is desired length. Round 1: *sc, ch 2. In the second ch from the hook, work 4 sc. Work a sl st into center of ring. Repeat from * five more times. There should be 6 total. 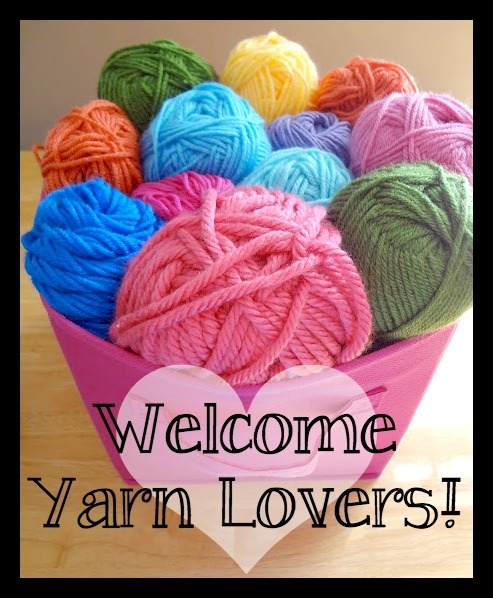 Fasten off and weave in any ends. 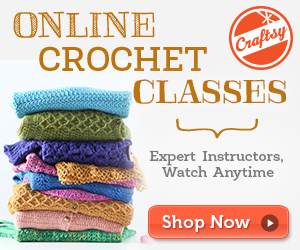 Because the snowflakes are little, you may need to shape with your hands a bit. Using tail from snowflakes or matching piece of yarn, sew snowflakes onto scarf with a tapestry needle. You can cover your scarf or just make a few like I did. Weave in all ends and you're finished! If I wanted to make a bigger (sider) version, what would the stitch count be?